Join Tim Malfroy of Malfroy’s Gold for a two day masterclass on the basics of the bee-friendly, organic, small-scale Warré style of Natural Beekeeping. This course focuses on a style of apiculture that is exclusively designed for the small-scale beekeeper. 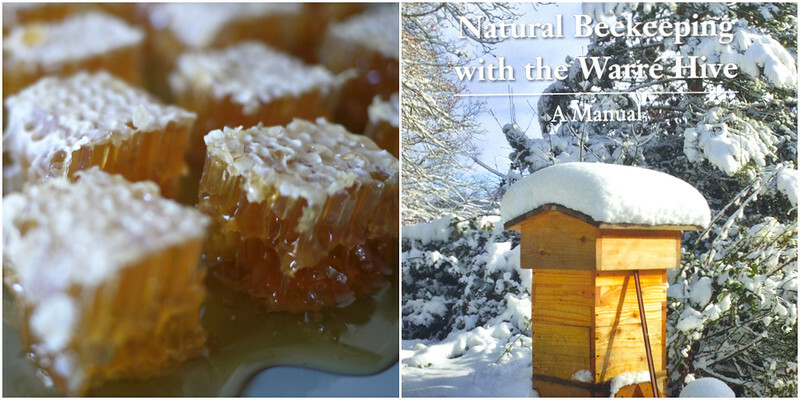 Warré beekeeping is a bee-friendly method that aims to care for the bees, allow them to control their own environment, and is a gentler approach than conventional beekeeping, resulting in healthy contented bees, and superb raw honey. 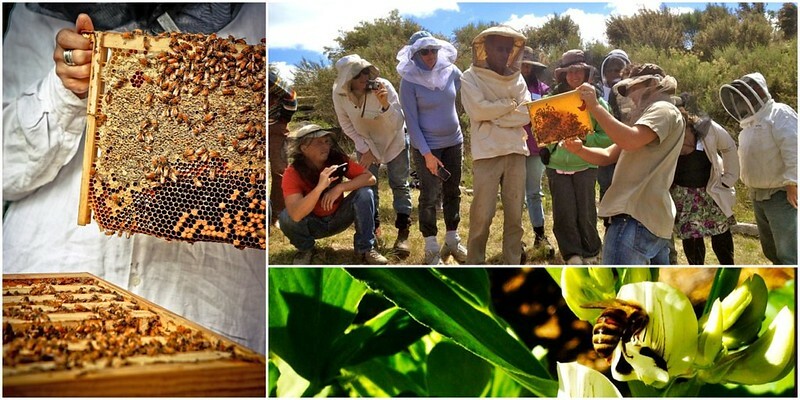 This course is a series of presentations that draw a wide perspective on the evolution of flowering plants and honeybees, and the long and rich tradition of apiculture. There will be open discussion, and loads of practical advice! In addition to discussing the role of the beekeeper and how to keep bees, Tim will talk extensively about the amazing social behavior and biology of the honeybee, giving you a solid grounding in the intricate world of the honeybee and how to approach keeping them in an ethical, sustainable manner. This course also includes a visit to the Milkwood Warré apiary, based at Buena Vista Farm, and a hive inspection (weather permitting). You will learn the ins and outs of sustainable beekeeping in general, and leave this course all ready to take the plunge of keeping your own bees! Tim Malfroy is the founder of the award-winning Malfroy’s Gold honey label with his wife Emma, and has been practicing organic and biodynamic beekeeping since he started keeping his own bees in 2006. In 2008 he was the first beekeeper in Australia to build and trial a Warré hive, and traveled to the Apimondia in France 2009 to take part in the first conference session on Warré and top-bar beekeeping. Tim is a second-generation beekeeper, growing up on a large apiary in the foothills of the Blue Mountains. 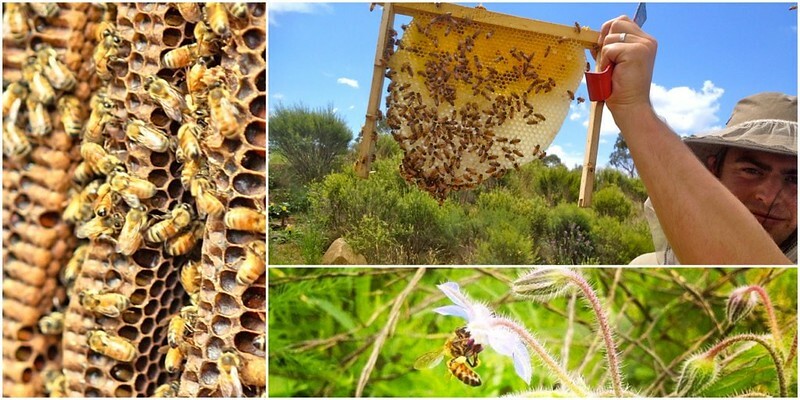 Your course fee includes Natural Beekeeping with the Warre Hive by David Heaf, copies of the necessary forms needed to become a beekeeper in NSW, post-course notes and resources, as well as lip-smacking wholefood catering by Buena Vista Farm each day. Course participants also have the option of ordering their bees and Warré hives direct from Tim Malfroy. This service is only available to course graduates, as Tim is committed to responsible beekeeping. This course will be held at+ catered by the beautiful Buena Vista Farm in Gerringong, where Milkwood have just established a small Warré apiary.